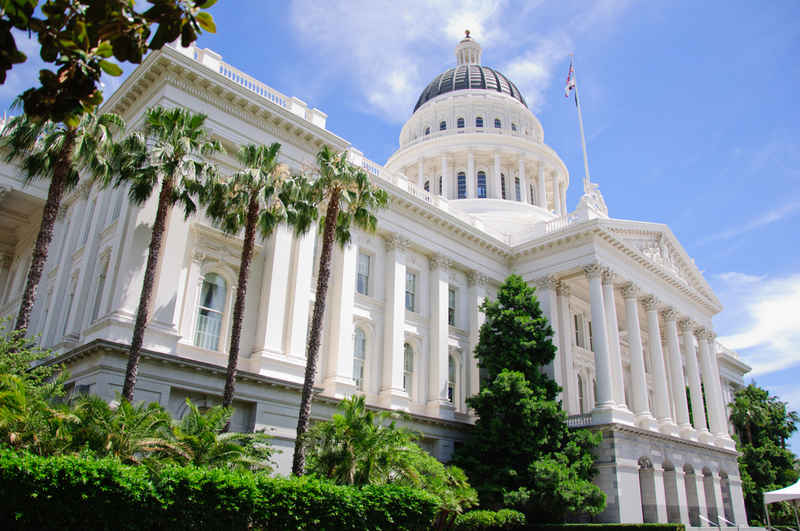 Stretching from the Mexican border along the Pacific river, California is a state in the western U.S, which is known for its alluring beauty, reef-lined beaches, dramatic terrain and breathtaking mountains. Its cultural and historical heritage is worth exploring and can make you wonder in surprise. Famous for the Hollywood celebrities and Disneyland, it is a wonderful destination that has numerous eye-catching attractions which are going to steal your heart away. The natural beauty of this amazing state can make you wonder in surprise and even make you lose your heart for it. If you are wondering what makes it special, here is the list of the top destinations that add charm to the beauty of this beautiful place. A renowned tourist destination in the world, San Francisco happens to be among the list of the top destinations for travelers from all over the world. Located on the tip of a peninsula and surrounded by the Pacific Ocean and San Francisco Bay, this beautiful city is famous for its hilly landscapes, cool summers, colorful houses, vibrant ambience and lively culture. The stunning views of the surroundings and the electric fashion are the major things captivate the eyes of all its visitors. 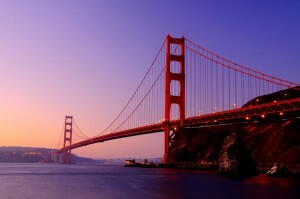 Book a cheap flight to San Francisco soon. 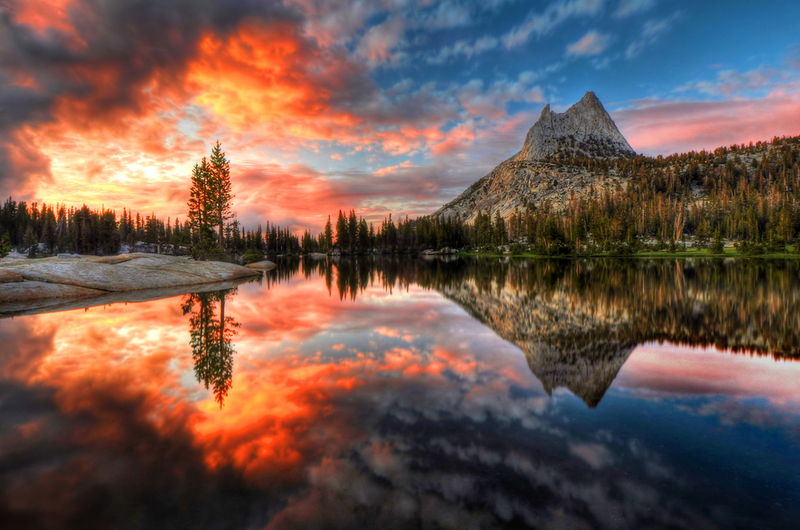 Situated in the lap of the Sierra Nevada Mountains, Yosemite National Park is yet another gem that shines brightly in the crown of California’s beauty. With a wide range of mountains, cliffs, ancient sequoias, waterfalls and museums, it is an amazing place to delve into the nature’s majestic charm. It is a favorite place for the photographers and visitors from all over the world. The ethnic diversity, breathtaking sceneries and views are the highlights of this park. Hiking and sightseeing can be enjoyed while being here. This sprawling city of California happens to be its heartbeat and is known to be the centre of entertainment and Hollywood of the country. The wonderful art scenes, contemporary lifestyle, vibrant nightlife and the flawless charm of this lively city is going to leave you awestruck. 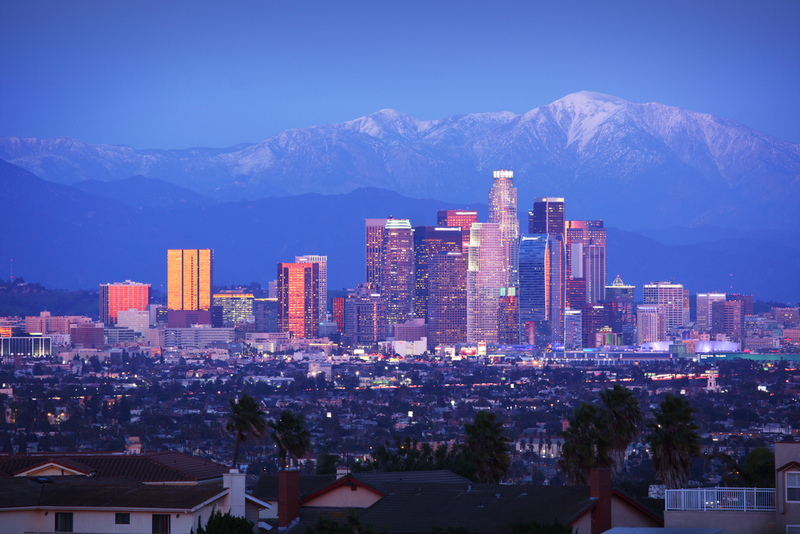 Beaches, restaurants, clubs and lively markets make Los Angeles a must visit destination. There is something for everyone so there is hardly any chance of feeling boredom or loneliness here. Pay a visit soon to feel the magic yourself and feel happy. 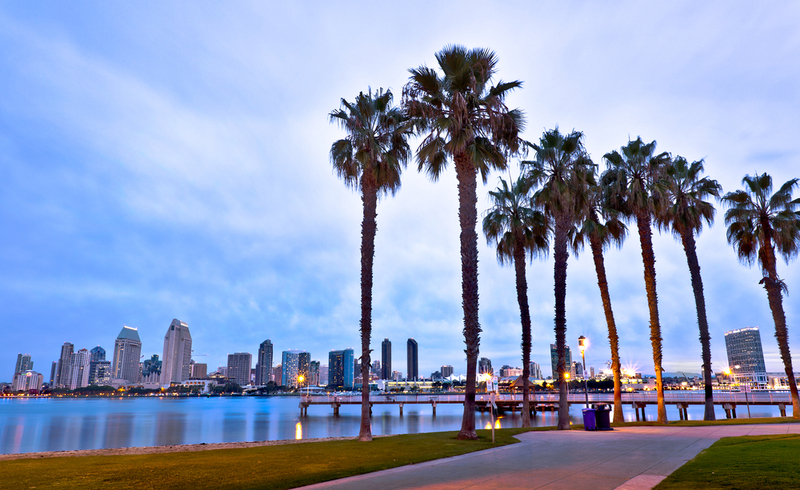 A trip to California can never be complete without a visit to this wonderful city of San Diego. With exotic beaches, perfect weather and amazing attractions, this city is an ideal tourist destination that will make you fall in love with it. The unique blend of Spanish and American culture make it an ultra-modern place with a variety of things to see and explore. No matter who you are traveling with there won’t be a single moment of your trip that will make you feel monotonous. Pack your bags and head straight. 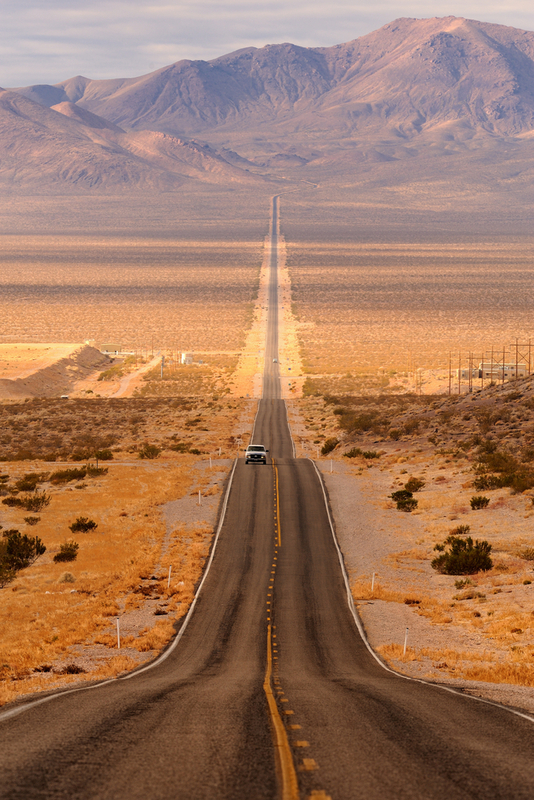 Last but not the least, our list of California ends with the Death Valley that holds a special and important part in the virtue of the state. 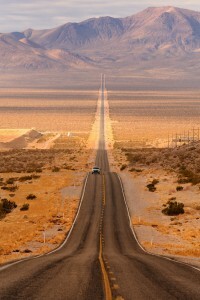 Located in the Mojave Desert, the Death Valley consists of numerous sights to explore and things to do. The snowcapped mountains, colorful sand dunes, desert landscapes and the historic sites make it a wonderful place that cannot be ignored at all. 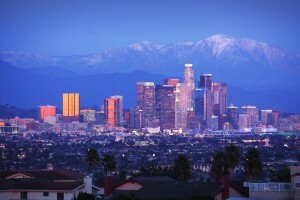 With a wide range of attractive spots and places, it is among the most visited destinations of California. Now when you have read so much about it, we are sure you will be curious to see as well. So, take your travel buddies along and plan an excursion soon. 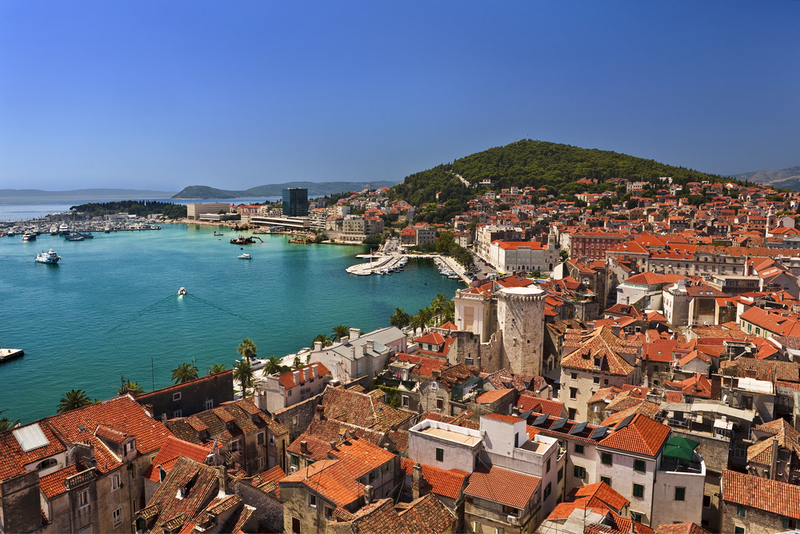 Located in the Southeast Europe, Balkan is a peninsula and a cultural area, which is made up of the numerous countries that boast lovely attractions and places. Historic towns, natural surroundings, beautiful beaches and the mountainous terrains make this region a unique and wonderful place to be. It happens to be a popular tourist destination in the Europe, which is surrounded by the Adriatic Sea on the northwest, the Ionian Sea to the southwest, the Mediterranean and Aegean Sea on the south and southeast, and the Black Sea on the east and northeast. This hidden gem of Europe has a treasure of places and sights to explore that will make you fall in love with it. Whether you wish to spend a relaxing break, need an adventurous excursion or want a visual treat for your eyes, Balkan has everything for you. So, while you are thinking of planning a trip, here are the top places you can visit in Balkan to make the most of your trip. 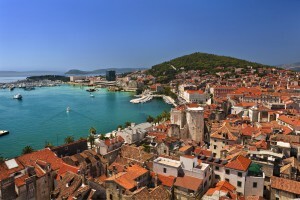 Located on the Dalmatian coast of Croatia, Split is a small yet beautiful town in Balkan, which is known for its exotic beaches and the 4th-century civilization. The vibrant ambiance and the amazing sightseeing opportunities make it a wonderful place to be at. The towering mountains are perfect for hiking and taking a panoramic view of the city, whereas the beaches are perfect for enjoying a laid back vacation. 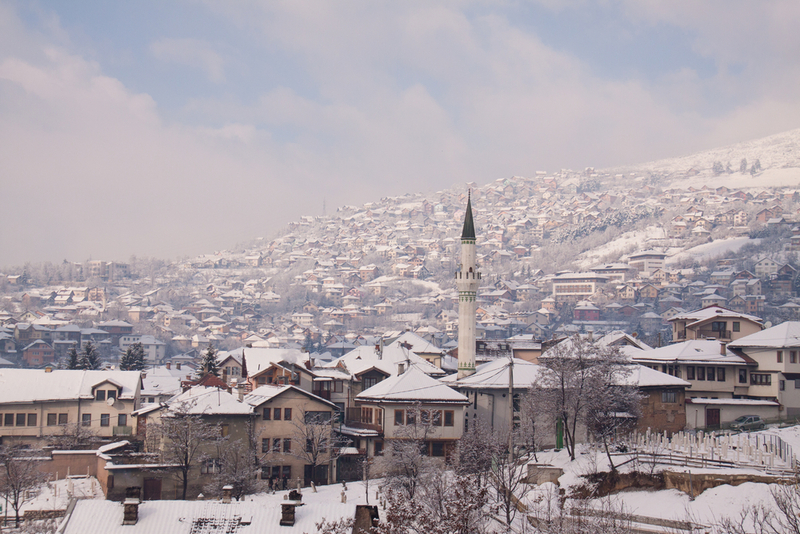 This is yet another jewel in the crown of the Balkan that adds glamour to its impeccable charm. Situated in the Julian Alps of the Upper Carniolan region of northwestern Slovenia, Lake Bled is a beautiful tourist spot that attracts visitors from all over the world. With a small Baroque Church at its center, it makes a wonderful scenery that can steal your heart away. The picturesque landscapes around the lake make it all the more serene. Spread in an area of three acres of land, Sveti Stefan is a beautiful resort town that catches the eyes of the visitors who visit Balkan. The beauty of this resort town is worth exploring and its charismatic beauty will make you fall in love with it totally. With several spas and restaurants on the island, it is a perfect place to spend a fun-filled vacation and have unlimited fun. 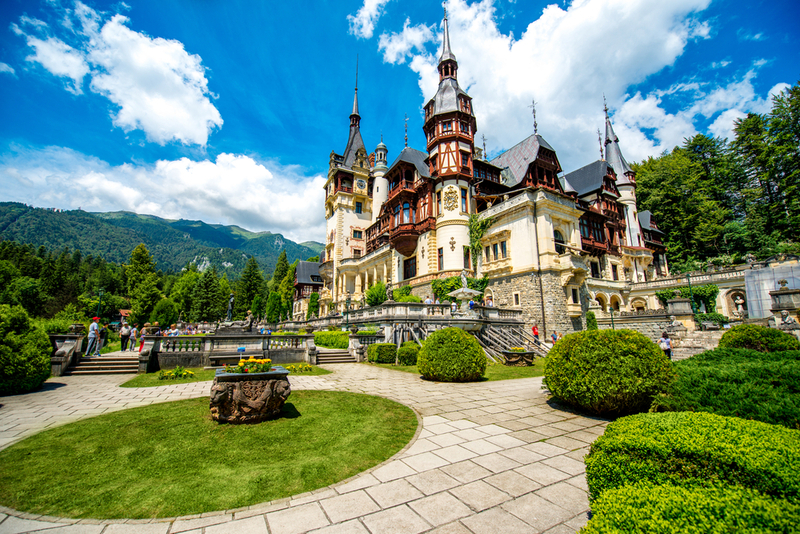 Built between 1873 and 1914, the Peles Castle is a wonderful architecture in Romania that exhibits the medieval culture. This wonderful castle is one of the best attractions of Romania and Balkan too. The historical relevance and the architectural design of the castle make it a unique attraction that shall be explored while taking an excursion to Balkan. Its Neo-Renaissance style is something you’ll love to see. A forest reserve area spread in 295 square km of land, Plitvice National Park is yet another beautiful spot in the Croatia region of the Balkan that boasts alluring lakes, beautiful waterfalls and a limestone canyon. 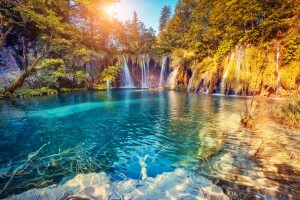 With a wide range of walking and hiking trails, Plitvice National Park is an ideal place for all sorts of vacation. Being one of the most popular attractions in Europe, it has a whimsical charm that will leave you spellbound. 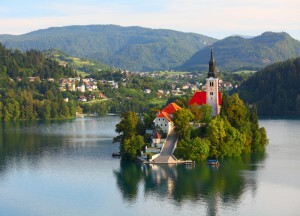 There is so much to see and discover in the beautiful Balkan that you will love to spend a long vacation here. Browse cheap airfare deals and fly to this wonderland right away. President’s Day is a federal holiday that falls on the second Monday of February. This holiday is the perfect weekend when you can enjoy a long holiday with your loved ones or friends. With this federal holiday, you can easily enjoy, relax and spend quality time with your close people and make them feel special. While there are people who wish to stay at home and spend the holiday accordingly, there are many who always look for a new place to visit. If you too are one of them who look for a chance of traveling to a new destination, then here is the list of the destinations we have picked up for you to visit this President’s Day and make it all the more memorable and happier. President’s Day is dedicated to the presidents of the nation and remembering them on this special day marks its importance. Discovering some historical and memorial sites and landmarks is the best way of doing the same. 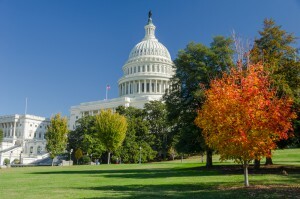 And there cannot be a better idea of starting the same with Washington D.C that happens to be the hometown of the former president, George Washington. You can join the felicitations of his 282nd birthday here and also enjoy some sightseeing. This national park has the carvings of the old presidents of the U.S that make it an attractive and important place to be at. 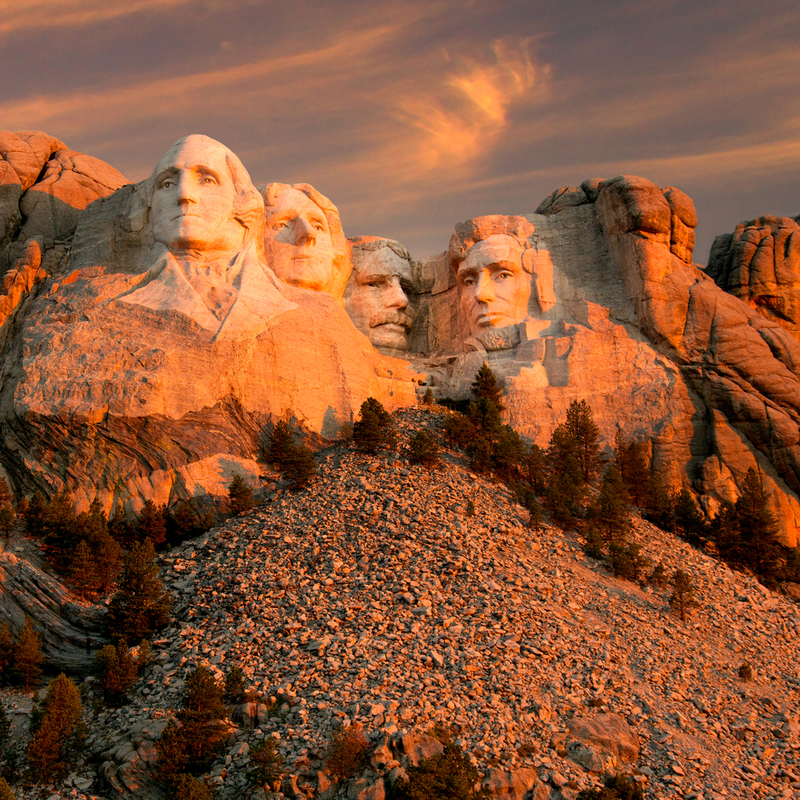 Located in South Dakota, this park has a 60-ft high sculpture with faces of George Washington, Thomas Jefferson, Theodore Roosevelt and Abraham Lincoln along with a museum that exhibits may interesting things. You can visit it and discover its historical importance and also enjoy the tourist attractions. 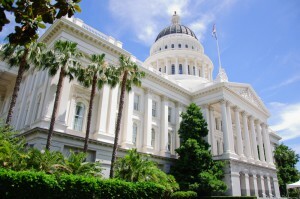 The capital city of California, Sacramento is one of the oldest cities of the country that has a rich historical heritage. There are many iconic landmarks and spots that make it an amazing tourist destination. Old Sacramento State Historic Park, Sutter’s Fort, California State Railroad Museum, Crocker Art Museum, The California Museum, California State Indian Museum, etc. are the top attractive spots that can be explored while being here. 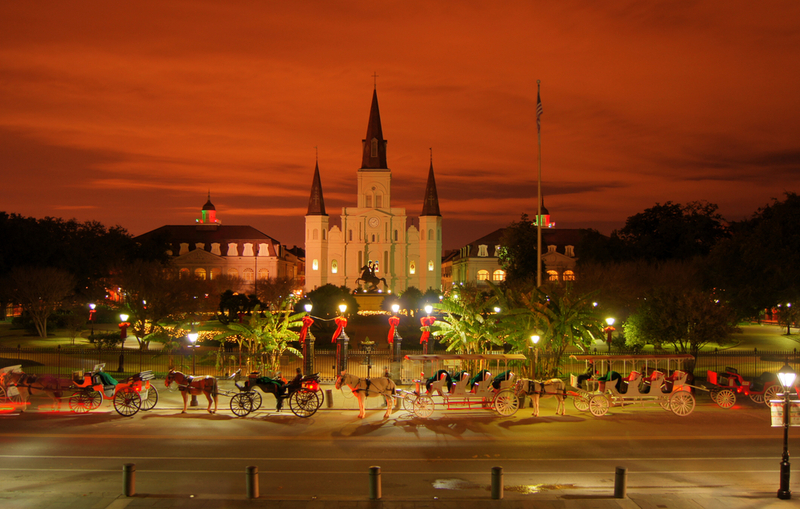 If you are in a mood to make this long weekend a happening one, there cannot be a better idea than spending it in New Orleans. 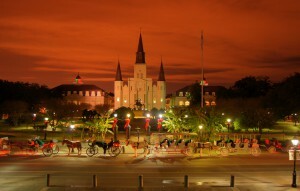 Nicknamed as the ‘Big Easy’, it is a wonderful destination where you can spend a fun-filled and amazing vacation. Its vibrant nightlife, live music, historical cuisines and the most popular Mardi Gras fest will add magic and joy to the excursion. So, call up your buddies and fly away. Since the event is celebrated with great zeal and glee all over the nation, you could even watch parades and visit any historical site. But if you want to make the most of it, take advantage of the President Day deals and fly to any of these destinations or the one that you’ve been planning to visit since long and fly at highly affordable prices. For the best experience, take your travel buddy along and make magical memories. Valentine’s Day marks the celebration of love, togetherness and romance between two people. This globally renowned event has been celebrated for ages, but the spirit has never gone down. Each year, millions of couples, celebrate the bond of their love in different ways. Many people even take this day as an opportunity of expressing their love to those whom they adore a lot. This special day requires a special celebration and there cannot be a better way than making loveable memories at a lovely destination. Well, if you haven’t planned anything for your Valentine, we have brought a chance of making it special for you. Take a look at these top romantic destinations and take your beloved there to feel the magic of your love again. Pick a destination and fly away because it comes only once in a year and it will be a waste if you don’t make it memorable. 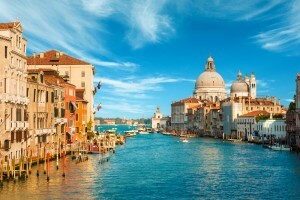 Nicknamed as the ‘City of Canals’, Venice is a wonderful place to spend a valentine date with your beloved. The scenic beauty of this alluring city is worth exploring and make you fall in love with it. Spirit of love and romance is always in the air of this Italian city that doesn’t leave a single chance of wooing your mind and heart. No matter how long or short your trip is, you’ll love every bit of it. This unique port town is yet another pick that will give you the perfect valentine break that you have been longing to take. The mesmerizing beaches, resorts, lively culture and impeccable charm of this city will leave you awestruck. 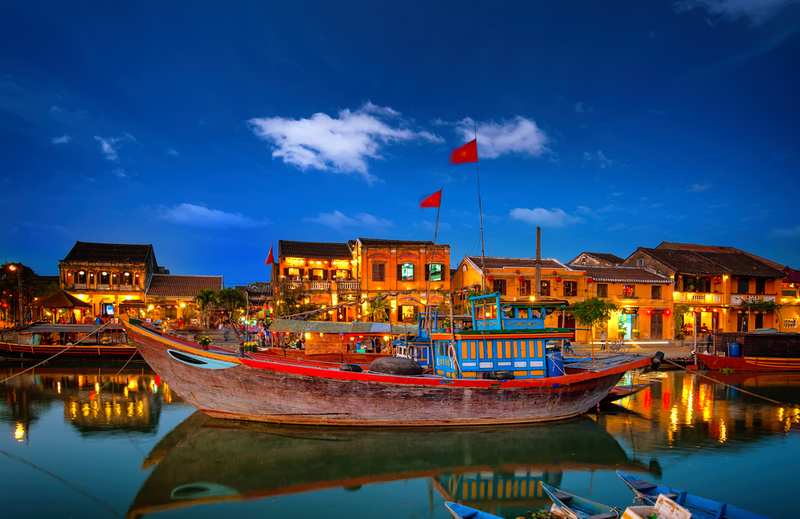 With a treasure of rich cultural heritage, it is a delightful town that can add a pinch of magic to your romance. Being one of the popular tourist destinations in Vietnam, it has many attractive spots to explore too. 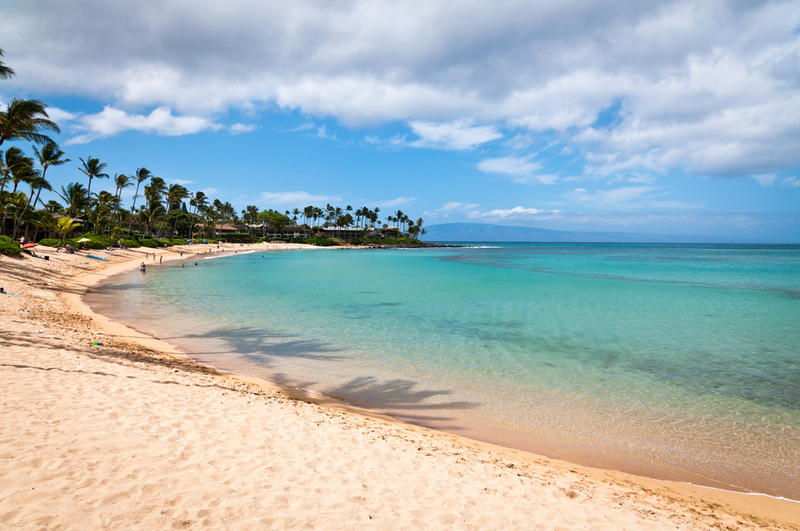 The pristine beaches of this Hawaiian city and its amazing ambiance are the two major reasons that make it an ideal destination to spend your valentines here. Alluring landscapes, vibrant nightlife and wonderful surroundings are going to steal your heart away. Whether you spend time at the beach or enjoy a candle light dinner at any of its beach resorts, the magic of love and romance will always be around you. Get ready to surprise your love by visiting it. 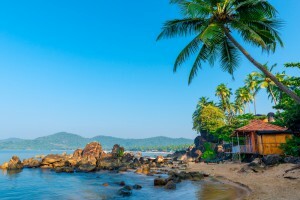 Located on the West coast of India, Goa is a wonderful destination that has been the hub of tourists from all over the world. Its numerous beaches, party clubs and the happening nightlife will make your valentine filled with energy, fun and enthusiasm. Walk along the seashores, relax and unwind on the beaches or go to a beach party; there are so many ways to celebrate the day that you’ll be love to be here. Since Valentine’s Day is just round the corner, how about planning an excursion soon. You can take advantage of our Valentine’s Day deals and enjoy great discounts on your trip. Book a flight soon before it’s too late. Don’t let this golden opportunity of making your Valentine happier go away so easily, make the most of it! Spending time with your loved ones is the best way to strengthen the bond of your relationship and making memories. In today’s world, the hectic schedules and stress have made it impossible to enjoy the little moments of love and togetherness. An ideal way to break the monotony of life and live it to the fullest is by traveling together. Taking a vacation not only brings you closer together but also helps to get the rid of tensions and stress too. If you too have been struggling to make time for your beloved and wish to take a romantic vacation to relive the love and romance, then it’s time to take one now. 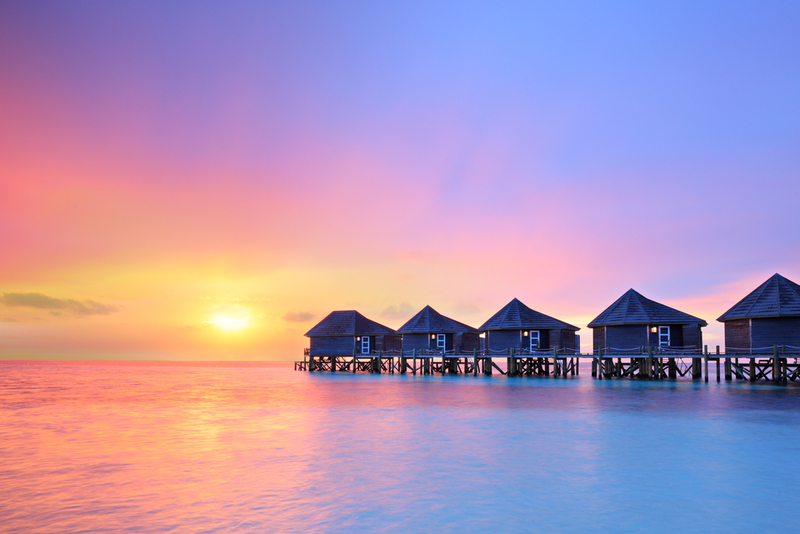 We have compiled a list of the most romantic islands around the world for your next break, pick up the one that you’ve been longing to visit and make the best of your time. 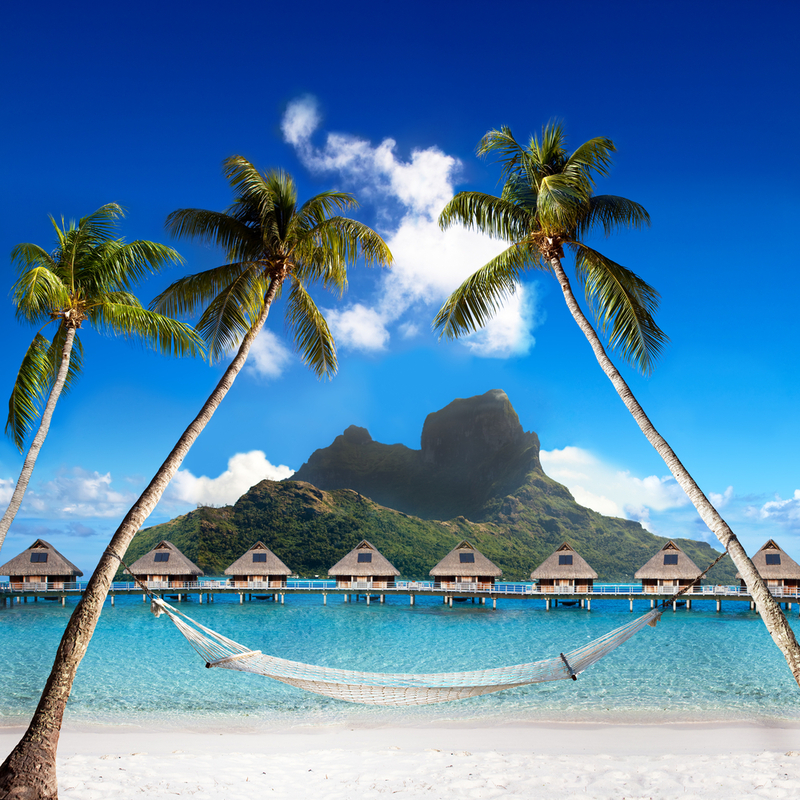 This incredibly beautiful island in the French Polynesia happens to be one of the most popular tourist destinations of the world. It is a paradise for honeymooners, couples and people who are willing to spend a romantic break. White sandy beaches, coral reefs, turquoise lagoons and alluring landscapes make this island a wonderland where you can recreate the magic of your love and romance again. No matter how short or long your trip is, the beachside resorts will give you a perfect stay over with some astonishing sights to explore. Situated in the British Caribbean territory, Grand Cayman is the largest island of the Cayman Island that makes a wonderful place to spend a romantic vacation. The calm and composed ambience, turquoise blue water and the long stretch of white sand beaches add charm to its whimsical beauty and make it worth exploring. Its coral reefs, crystal clear water, busy docks, quiet surroundings are the major highlights of this beautiful place that are going to steal your heart away. It is also one of the world’s best diving spots, so you can go swimming and scuba diving as well. This is yet another heavenly paradise where you can take your beloved and feel the love in the air. Located in the Indian Ocean, this beautiful island has a treasure trove of natural beauty, amazing culture and ideal climate that makes it an awesome place to be at. 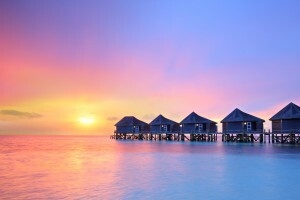 A hub of honeymooners, newly wed couples and a popular spot for destination weddings, Maldives happens to be a stunning island where you can have endless fun. 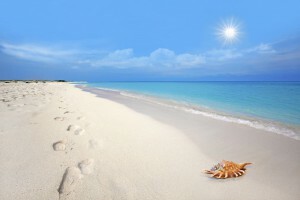 The white sand beaches, turquoise blue water and the freedom of doing the activities such as swimming, scuba diving, etc. add charm to its grace. The second largest island of Hawaii, Maui is one of the most visited and explored islands in the world that can be visited for a fantastic romantic vacation. 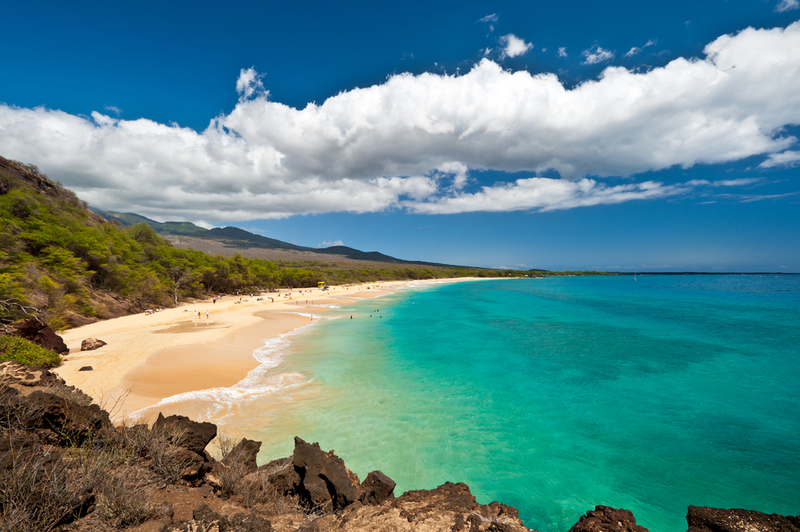 Whether you wish to spend an adventurous trip or need a relaxing break, Maui gives you all sorts of experience and helps in making the best of your vacation. Nicknamed as the ‘The Valley Isle’, it is a wonderful island with eye-catching natural beauty and sights that can make you lose your heart for it. Enjoy a scenic drive or spend some laid back time at the beach and rejuvenate yourself. 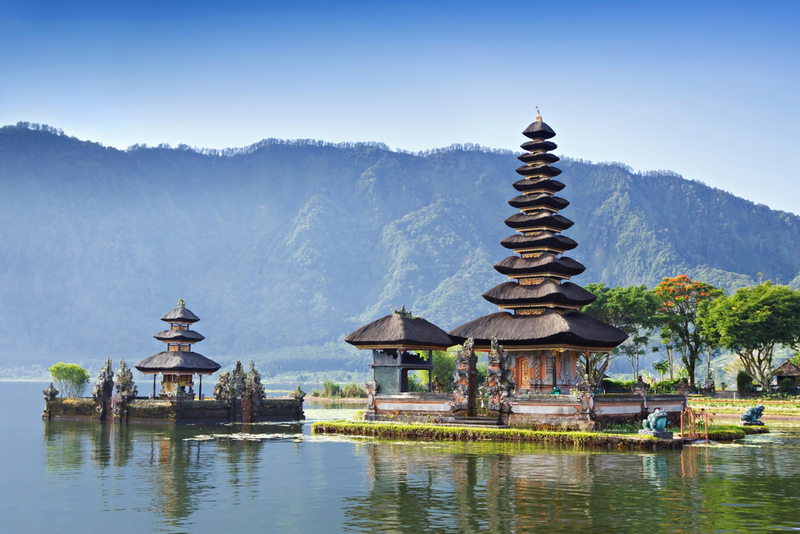 Last but not the least, is the Indonesian island Bali that we have picked to give you and your loved one a phenomenal experience that you can remember for a lifetime. Home to many resort towns, white sand beaches and many scenic landscapes, Bali is the perfect spot to feel the romance and get drenched in the rain of love. Its magical charm won’t let you get your eyes off of it and make you fall in love with this place totally. So, what’s the delay then? 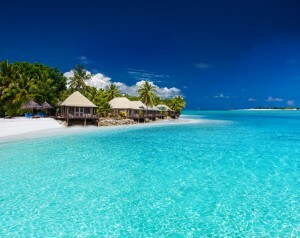 Take your beloved and land to this paradise soon. Choose a destination, browse discounted airfare deals through SmartFares and fly away to create some lovable memories. February happens to the shortest month of the year but has an ideal weather to go on a trip that can relax your mind and boost you up for the next season. Though despite being the shortest, it never fails to influence us and creates a light ambiance around us that makes us happy and satisfied. Whether you wish to spend some time at the beach or are looking for an adventurous expedition at the mountains, February gives you the freedom of doing them all as the weather is perfect and so are the places. So, while you are making up your mind for the February break, here are the top places we have picked up for you to give you a wonderful experience. The month of February in the Caribbean makes you witness the best of this amazing destination. With a wide range of carnivals, festivals, warm temperatures and the valentine romance in the air makes many of its islands a perfect spot for vacation. Jamaica, Antigua, St. Lucia, Bahamas, Dominican Republic, etc. 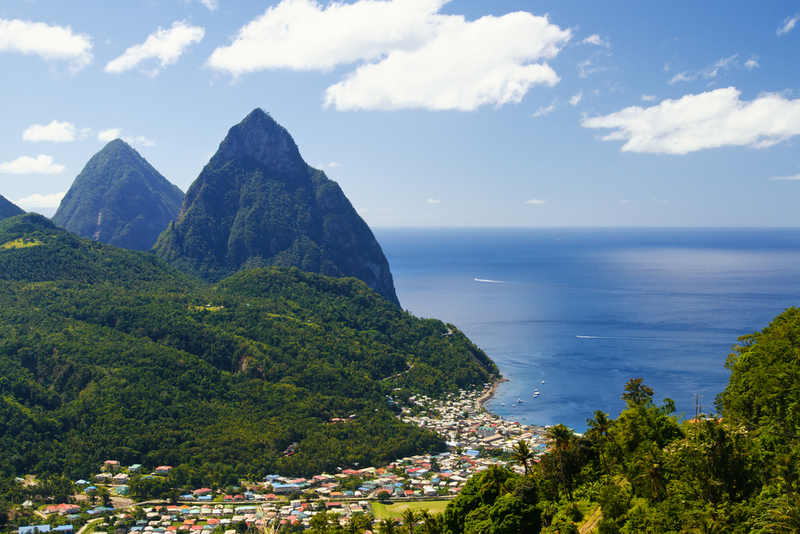 are the major islands you can pick for your vacation. The vibrant nightlife and amazing food scenes of these places will double up the fun of your trip. This city of canals has a wonderful charm that can make you fall in love with it. With more than 100 islands, it is a wonderful destination to enjoy, have fun and swing in a mood of romance with your loved ones. The winter season in Venice stays only in December and January, so you can have an awesome vacation during February. The colourful ambience, lively street and the weather altogether make Venice a lovely place to be at. 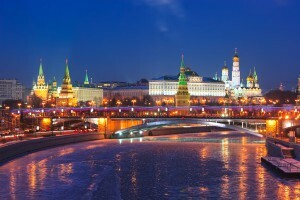 If you wish to see the snowfall and feel the cold winds, Moscow is the perfect place you should head to, in February. Pancake binging, horse-drawn sleighs and ice-skating and the popular Mardi Grass Carnival are the major reasons that make it a pleasant destination where you can spend some memorable time. Cafes, galleries and art centres are the major attractions of the city that will captivate your eyes. Moscow Kremlin, Red Square, Pushkin Museum, etc. are few more places that could be explored. This desert resort city in the state of California is yet another beautiful destination where you can spend a mesmerizing trip and create magical memories. 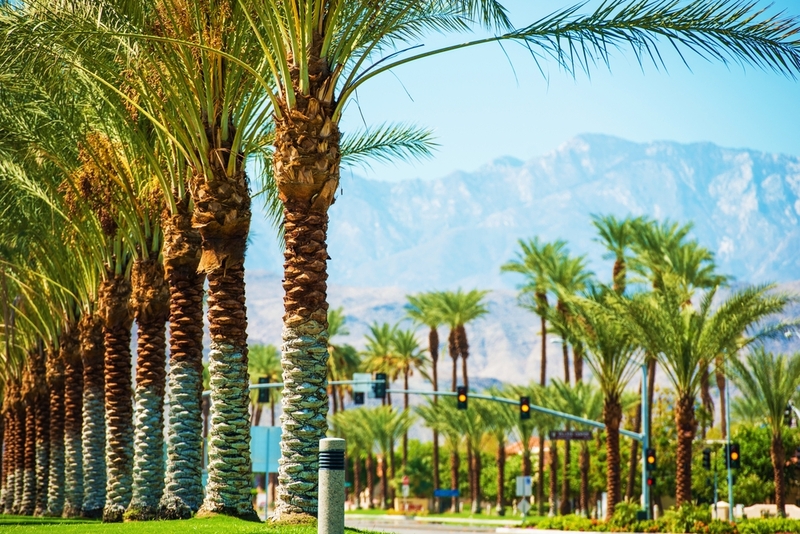 The 20th century architectures, live music scenes, parties, colourful ambiance and lively culture make Palm Springs a favorite destination, especially in the month of February when the weather is just so perfect that you love every bit of it. There are many places and spots to explore as well that include the Living Desert Zoo and Gardens, Palm Springs Air Museum, San Jacinto Peak, etc. Since January has already started, it’s high time to plan a trip and book cheap flights so that you can have a never before vacation experience. To make it better, take your loved ones along and browse some deals on SmartFares. Winter season is the coldest time of the year when the trees shed their leaves and cover themselves with a blanket of white snow. From cold breeze to snowfall, there are so many things that happen during this season that you just can’t control yourself from falling into the charm of this wonderful time. While there are some who just can’t bear the cold weather, there are many who love every bit of it and wait for the season eagerly. For many, winters are a gateway to the world of adventure sports that are only popular in this particular season. 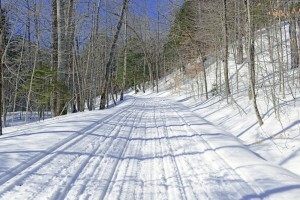 There are various types of adventure sports that can be taken, including ice skating, skiing and many more. If you too are the one who loves taking adventurous rides, here are the top destinations where you can enjoy the best winter sports. Canada experiences amazing snowfall during the winter season that makes it an ideal spot for enjoying the winter sports. The Whistler resort town of Canada is one of the best winter sports destinations in the world. With over 8,000 acres of land and 2 mountains, it is a wonderful skiing spot that attracts visitors from all over the world. With a variety of activities to enjoy, there is something for everyone; kids, adults and families. Many resorts have been established here that entertain the visitors and provide them a comfortable stay. Lake Placid has been able to grab second place on our list because of the amazing winter sports that can be enjoyed while being here. The lake has many winter activities to experience and is popular worldwide for its 1980s winter sports track that was developed for the Winter Olympics. It is considered to be the most amazing and wonderful destination for winter sports and offers rides that are hard to find anywhere else. Skiing on the frozen lake, playing golf and enjoying the hockey tournaments are the major activities that can be done here. This is yet another beautiful resort town in the Switzerland that happens to be an ideal spot foe enjoying the winter sports. Cresta Run and Bob Run are the major events that take place here and make it the perfect winter sports destination. Adventure seekers from all over the world come here to enjoy the annual St. Moritz World Cup Polo on Snow and enjoy the different winter sports including the winter hiking, cross country skiing, ice skating, chess on ice, ice hockey, Bavarian curling, etc. This winter wonderland has a lot more to explore, so pay a visit soon. Last but not the least, Yellowstone completes our list as being one of the best winter sports destinations in the world. 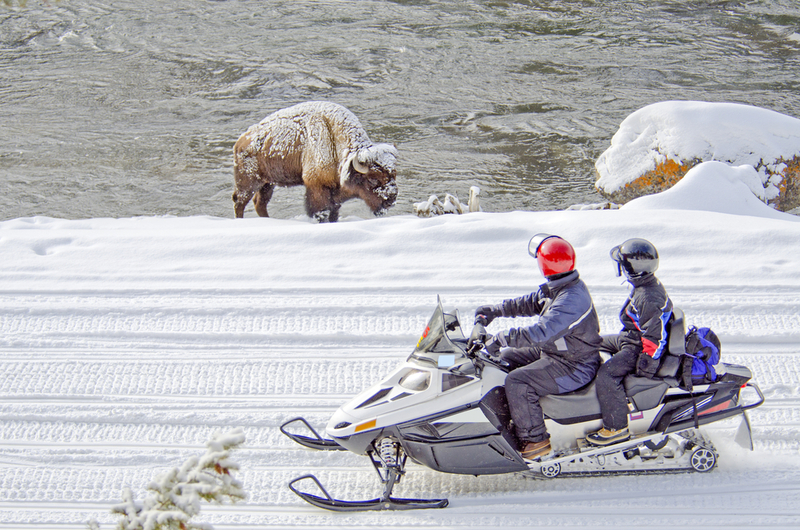 Winters make Yellowstone a wonderful place where you can have unlimited fun. 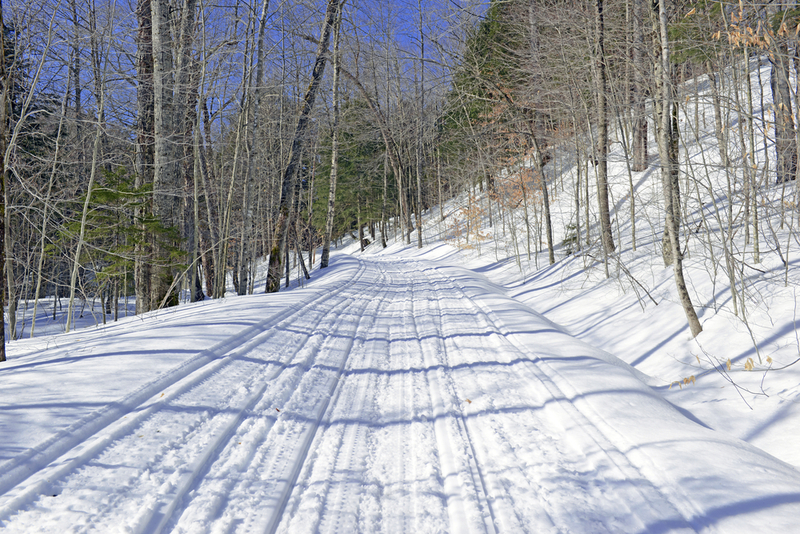 Snowmobiles are allowed in the park during the winter season in a limited number. 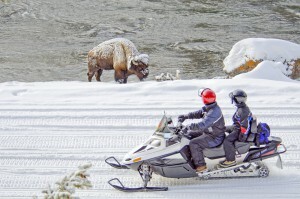 Apart from this, numerous activities including cross-country skiing, snowshoeing, and snow coach and snowmobile tours can be enjoyed in the Yellowstone National Park as well. Many trails are also open for winter hiking from where you can enjoy the alluring landscapes and sights that will make you fall in love with this awe-inspiring place. 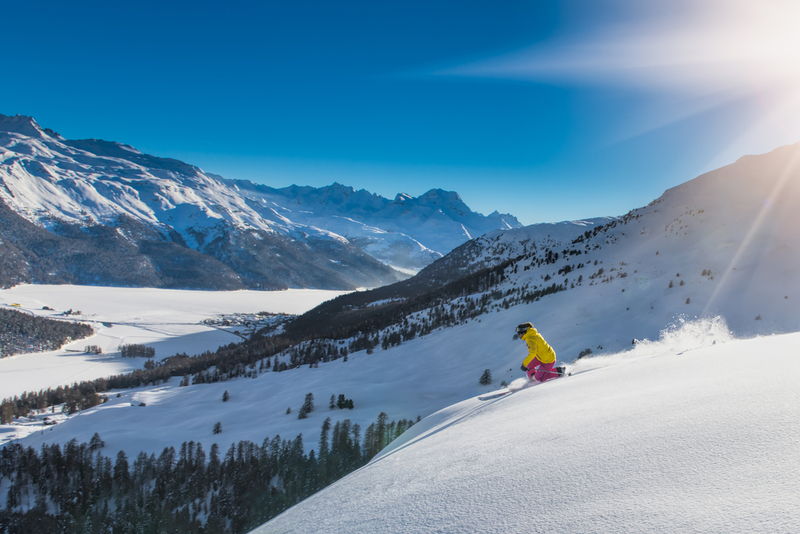 Since the winter season is already at its peak, pack up your bags, put on your shoes and head straight to any of these winter sports destinations by taking advantage of our winter travel deals. With the New Year, the resolutions, plans and priorities also take a new face. Some people give a kick start to the year; giving a warm welcome by partying and celebrating whole-heartedly. Though there are many who wish to spend the New Year’s Eve at their favorite destination. It’s time to plan ahead for a new excursion that will make the year more memorable. There are many places around the world that still haven’t been explored and there are certain where you haven’t put your feet at. 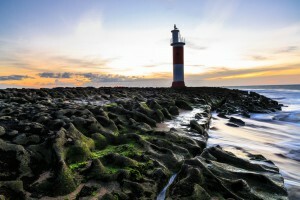 While there are a few destinations that happen to be the best and cannot be missed at all. We are stepping in the New Year and it’s time to gear up for the hottest destinations of 2016 that we have picked up just for you. Take a look and see where you would go first. Starting our list with this coldest destination, that has a wide range of amazing wildlife, beautiful landscapes and snow covered places that can leave you spellbound. A unique yet beautiful place, the Arctic has a great treasure of eye-catching spots too. This wintery wonderland is a perfect spot to spend a calm, relaxing and fun-filled vacation in the lap of nature. 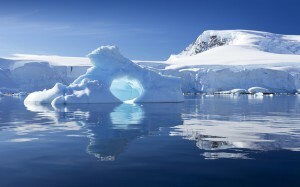 Polar bears, arctic foxes, walruses, seals and whales can be spotted here. Sounds interesting, right? Who will you take along? This capital city is yet another pick that has been chosen by our experts to give you a pleasant and amazing vacation experience. Known as the ‘Jerusalem of Europe’, it has a rich cultural heritage and the influence of the twin cities that make it a wonderful place to be at. Attend its famous Jazz festival and explore other attractions such as National Museum of Bosnia and Herzegovina, Vrelo Bosne, Sebilj, etc. and delve into its majestic charm. 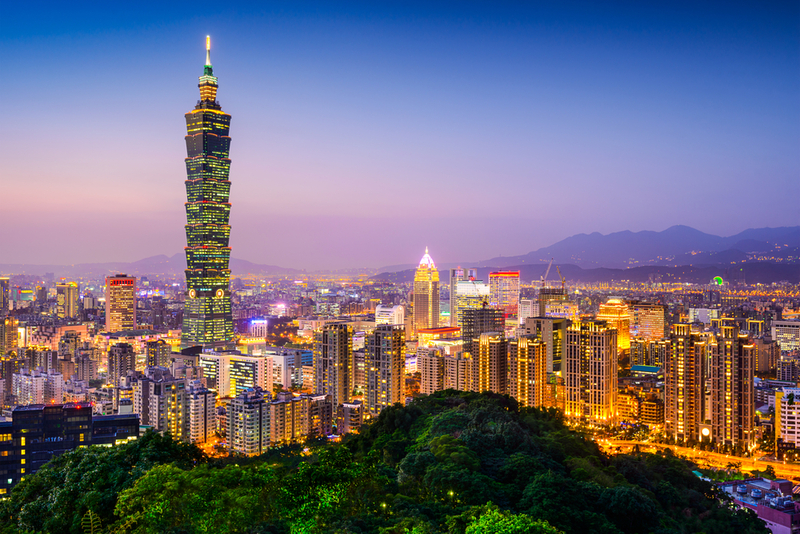 A small island nation in the east of China, Taiwan happens to have a huge reserve of dramatic mountainous terrain, contemporary sights and hot springs resorts that are worth exploring. Its lively streets and amazing culture will make your trip an unforgettable experience. Keep a list handy with its popular attractions including the National Palace Museum, Longshan Temple, Puli, Hsinchu, etc. Its amazing ambiance and friendly people are the other factors that will give you a mesmerizing experience. Located on the north-eastern tip of Brazil, Rio Grande do Norte is a beach lover’s paradise and a perfect spot to spend a fun-filled vacation with family and friends. From sightseeing to swimming and surfing with dolphins, you can have unlimited fun here and create memories that can be cherished for a lifetime. Its wonderful history and cultural heritage will urge you to explore its museums and several historical landmarks too. Ponta Negra, Dunas Park, Forte dos Reis Magos, etc. are its popular attractions. 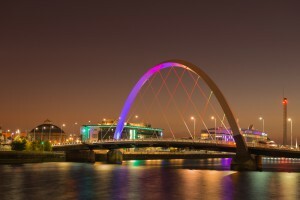 A unique port city located on the River Clyde is what Glasgow is all about. Its vibrant nightlife, Victorian and art nouveau architectures and the influence of the 20th century culture make it an ultra-modern place that can give you an amazing vacation experience. Whether you seek a backpacking expedition or need a relaxing break with your buddies, this amazing city has all the things to give you your desired trip. Kelvingrove Art Gallery and Museum, Glasgow Cathedral, Burrell Collection, etc. are the top attractions that can be explored. 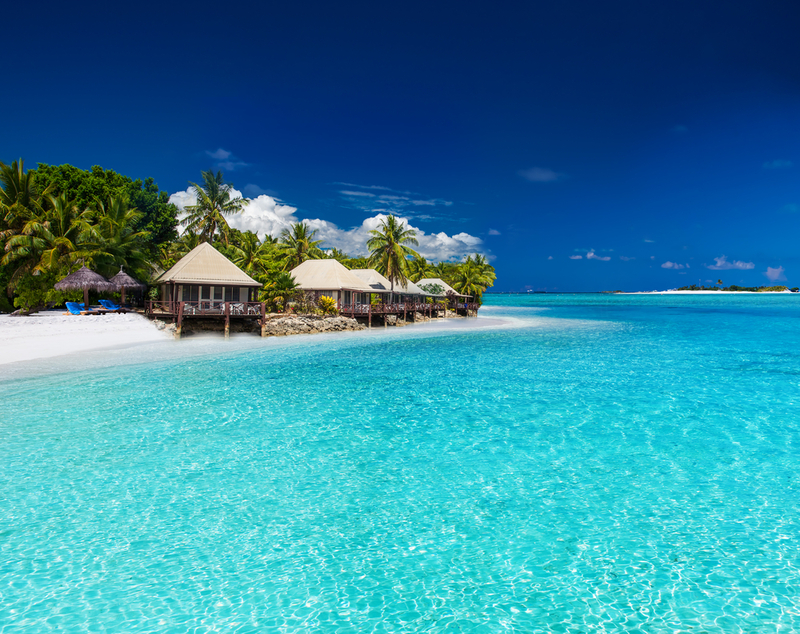 With a collection of more than 300 islands, palm-lined beaches, blue lagoons and alluring landscapes, Fiji is a dream destination for tourists from all over the world and is on the list of many frequent travelers. It has also been recognised as the second happiest country in the world and boasts many fun-filled activities, such as mountain climbing, soft-coral diving, zip lining, etc. This tropical holiday destination has everything that will make you happy and satisfied, so plan an excursion soon. 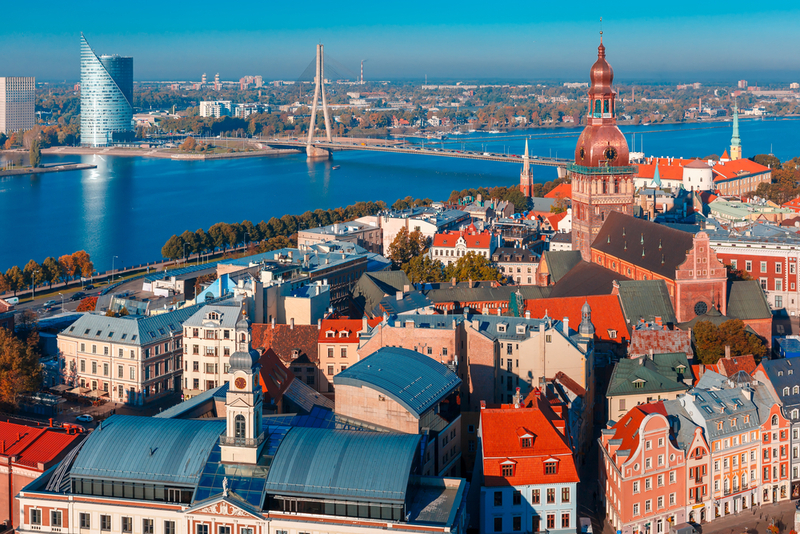 Latvia is one of those countries that have a strong identity and a wonderful culture that has made it able to grab a place in our list. Modern cities, old museums, churches, beaches and sprawling forests add charm to its beauty, thus making it an ideal spot for a vacation. It has one of the best nightlife spots in the Europe and also is home to many cafes, restaurants and places that can make you spellbound. Come with family or your loved one; each and every moment will be full of bliss. 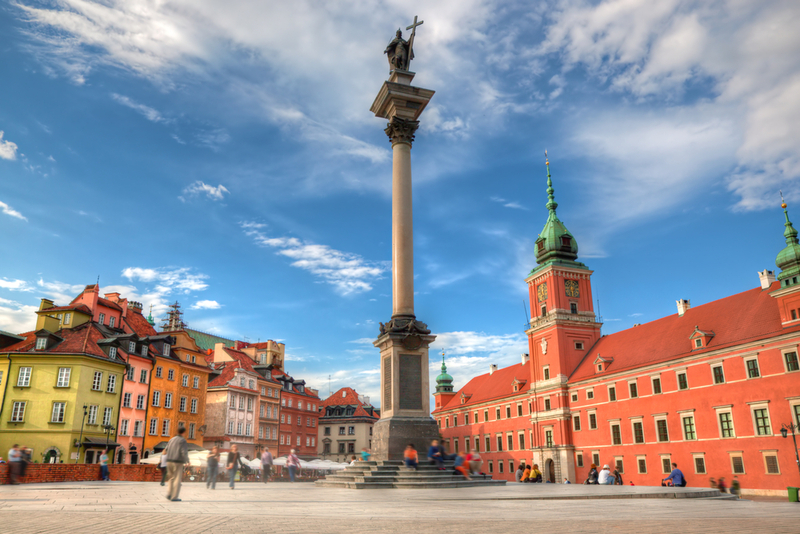 Known for its Gothic churches, turbulent history and neoclassical palaces; Warsaw is a sprawling city that attracts tourists from different corners of the world. The unique blend of modern and classical cultures and vibrant nightlife and music scene make it a shining gem in the country. 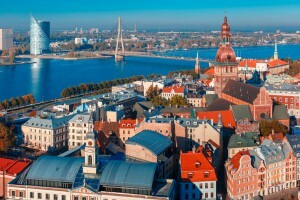 A trip to Warsaw can never be complete without exploring its major attractions that include the Royal Castle, Łazienki Palace, Saxon Garden, Museum of Warsaw, Museum of Modern Art, etc. 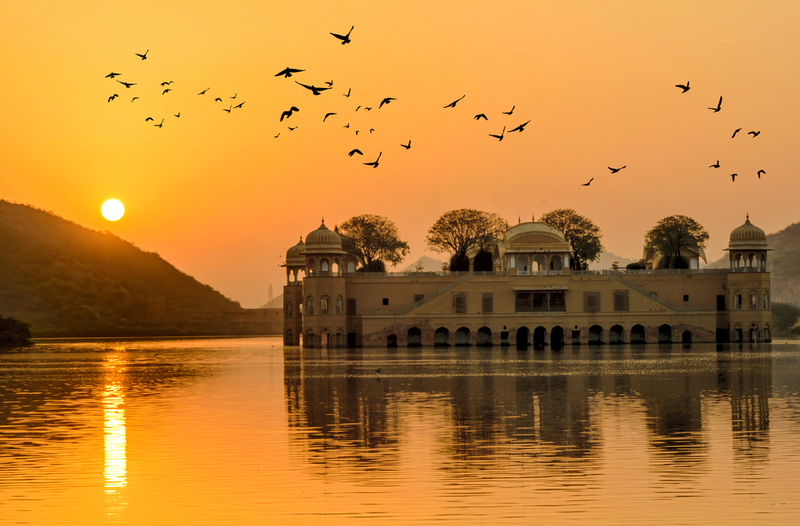 This beautiful state in India is known for its palaces, museums and huge sand dunes. The majestic charm of this awe-inspiring destination can steal your heart away and leave you spellbound. With a treasure trove of ancient architectures, castles, forts and influence of the 18th century culture, Rajasthan captivates the eyes of many travelers and gives them a visual treat with eye catching sights and spots. 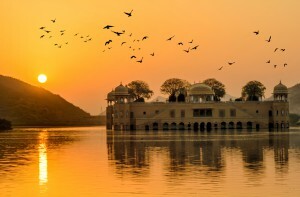 Amer Fort and Hawa Mahal in Jaipur, Ranthambore National Park, Pushkar, Jodhpur are its major attractions. 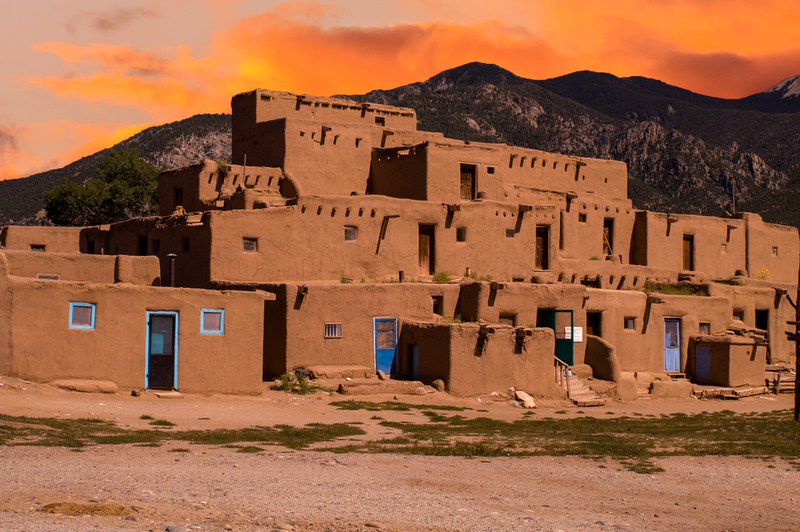 Last but not the least, our list ends with the alluring state of New Mexico, which has been nicknamed as the ‘Land of Enchantment’. There won’t be a single moment in your trip to this amazing destination that will give you the feeling of boredom. No matter who you are traveling with, you’ll love every bit of your trip. Carlsbad Caverns National Park, White Sands National Monument, Bandelier National Monument, Sandia Peak Tramway, Rio Grande Zoo, Los Alamos, etc. are the top attractions that shall be added to the must visit list. Now when you have the whole list, start planning your trips accordingly and tick off all these destinations to have a wonderful year ahead. Before booking your tickets, do not forget to browse through SmartFares as you can find huge discounts on your travel.